Ventnor Park (formerly part of the Steephill Castle Estate) was presented to the town in 1898. A traditionally landscaped park with a stream, herbaceous and shrub bedding and annual bedding. 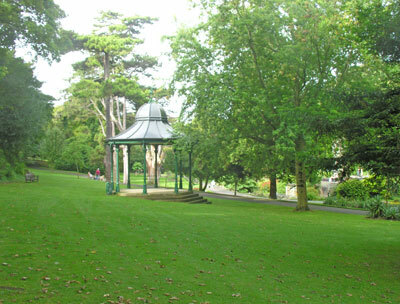 The Park contains a lodge (now privately owned) and a bandstand which originally was on Ventnor Pier and was relocated to the park in 1903. There are views out from the park over the English Channel.